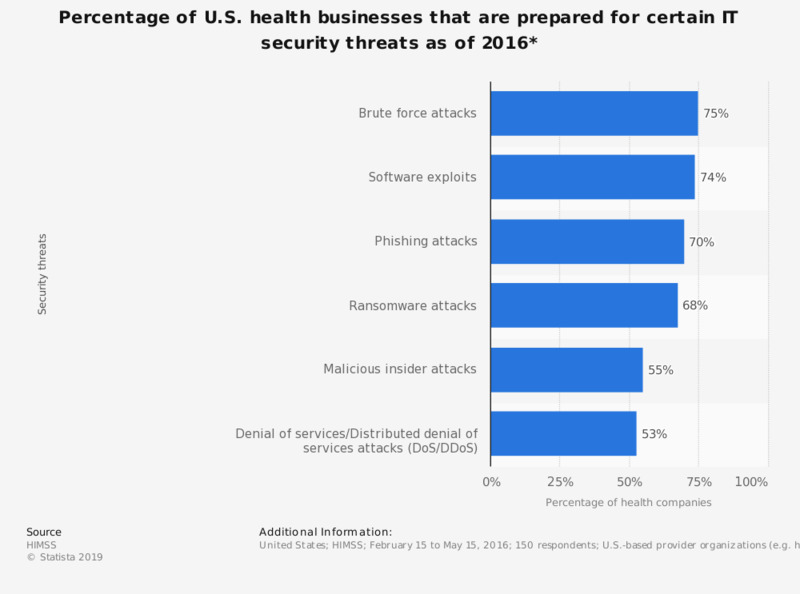 This survey depicts the percentage of health organizations that are prepared for certain IT security threats in the United States as of 2016. According to the survey, 75 percent of health businesses/companies were prepared for brute force attacks. * Ability to detect and protect IT infrastructure and data. Original question: "How would you rate your organizations ability to protect your IT infrastructure and data against the following types of compromise?"